As a luxury portrait studio specializing in maternity, newborn, and family portraiture, we invest deeply in our clients. These images will be the way you experience your baby's childhood for the rest of your life and we do not take that lightly. We also serve many families with older children. Often, life gets busy, and before we know it, it's been years before we've taken the time to update the family portrait. From personal styling and hair and makeup to wall portrait installation, we make it easy to invest in heirloom portraits that you'll enjoy each day in your home and on your walls. Our wall portraits and albums stand the test of time and are created for many future generations to enjoy. Family Portrait Sessions are a memory all their own. With your family's interests and personality in mind, we'll have a session full of laughs and time spent together. We offer two Baby Plan options to fit our clients' needs. You will receive an in-studio Ordering Appointment after each Portrait Session. 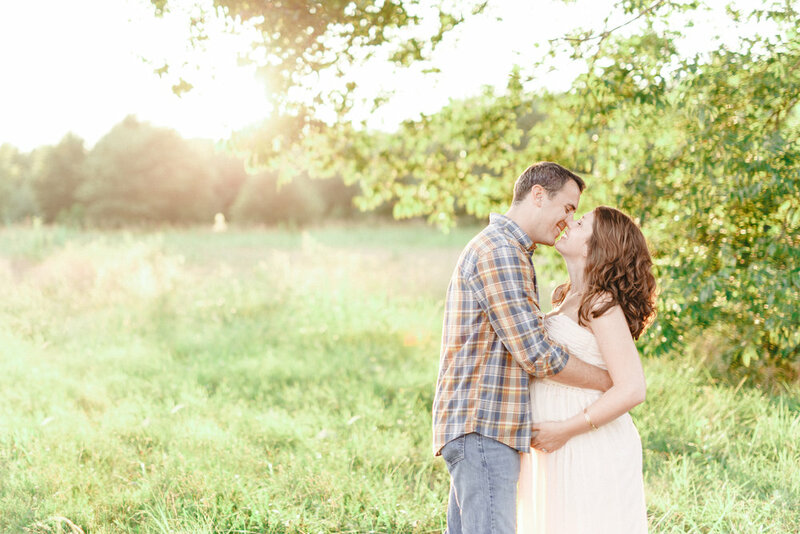 Maternity portraits celebrate the love that exists between you and your spouse and the excitement you have to welcome your little bundle of joy. These beautiful portraits are best created between 30 and 36 weeks. Newborn Portrait Sessions combine a mix of lifestyle images and baby-led posing. No froggy-poses, costumes, and 4-hour sessions here. We're here to capture your baby and all their preciousness just as they are. Newborn portraits are best done as soon as possible following birth, typically the second day or so after coming home from the hospital. They are held in our studio and include styling and hair and makeup for mama. So, you just show up and we'll take care of the rest. © COUNT IT JOY, LLC.